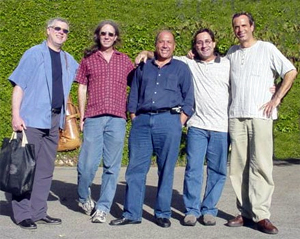 Viva Brasil have been leading the Brazilian music scene in the San Francisco Bay Area for many years and thus helped to imbed the Brazilian music into the much bigger local jazz scene. As band leader Claudio Amaral once said in the San Francisco Cronicle, "What I saw when I got here was a Brazilian community that was spread out. There was not a common place where we could meet and nothing going on for us, though we were all over the Bay Area. When Viva Brazil began playing around, it brought together a community." Viva Brasil's reputation for catchy melodies, vibrant rythms, and fiery solos has not only lead to a strong following in the Bay Area but also abroad. They backed up greats like Stan Getz, Martinho da Vila and Airto and scored regional hits with the recorded songs "Skindo-Le-Le" and "Hello Brazil." It all started when Claudio Amaral who hails from Brazil came to the Bay Area in May 1972. An American friend of his sister had invited him to the Bay Area and Claudio stayed with this guy for several months at Stanford campus. During that time he started to learn English and visited a music school as well. Once his sister's friend left for New York, Claudio stayed in San Francisco and started to make his living as a street musician. It as to be said though, that Claudio had already played in bands in Brasil before he came to the Bay Area. He was more into rock and pop music and didn't care too much about his native Brazilian music as it was nothing special in Brazil. Only in the Bay Area he would discover the richness of Brazilian music within the next few years. 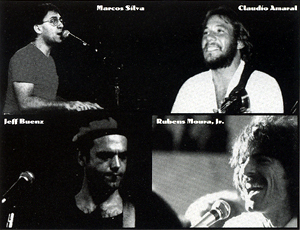 In 1973 Claudio got invited to play at a place named Peta's - a German coffeehouse in North Beach - on a regular basis. Claudio played there for almost one year and subsequently met many other musicians and he also started to audition for bands. As a matter of fact Claudio continued to work solo until 1976 until what was to become Viva Brasil evolved out of several jam sessions. Around that time Claudio also used to play in a cover band entitled Made in Brasil that included Jay Wagner which he already knew from his coffeehouse gigs. Eventually both left that group and started Viva Brasil. One problem the newly evolving band had was that their first dummers never sounded too Brazilian. Subsequently Claudio wrote to his old band mate Rubens Moura who stilled lived in Brazil and invited him to come to San Francisco and join the band. Eventually the new band was complete (pictured below) and they started to work the club circuit playing five to six nights a week. During that time they created their incredible happy feel good sound that included many Brazilian elements but also English lyrics. Their steady place for years around that time was called Sneaky Pete's on Lombard Street in San Francisco. At that place they also built up a solid following. Once the band's fan base grew, more and more people asked if any recordings were available. Luckily a huge fan of the band named Bill Hooks decided to finance their first album. 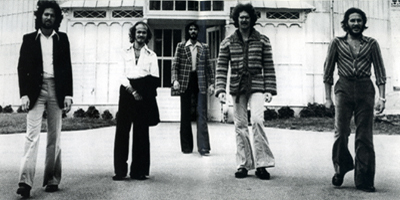 The band chose their first drummer Mike Rosengarden to produce the album, as he knew what Viva Brasil sounded like, and in 1980 Viva Brasil's self-titled debut album was released on Sugarloaf Records. Most of the tracks on this excellent debut album were written by Claudio Amaral and Jay Wagner, including the first track of the album "Skindo-Le-Le" which became the band's most famous and most covered song. The track was originally developed when the band stayed in L.A. for several months. When they recorded they also recorded this track but in a rather lengthy version. The final hit version on the album is an edited producer's version. Although the phrase Skindo-le-le has no literal meaning - as it is 'just' a verbalizaton of a samba rhythm - it became Viva Brasil's trademark representing the Brazilian flavor the band is so famous for. The other tracks on the album demonstrate the high quality of Viva Brasil's music as well. None of the 10 tracks falls short. No matter if you take the dreamy tracks "Voçe Abusou/Desabafo" or "She", the upbeat "Menina Danada", or the the fast and rhythmic "Ronco da Cuica" ... they all call for repeated play-back. Especially the last track "Produto Nacional" with its dancable samba rhythm and lyrics which are an ode to the beauty of Brazilian women, should be mentioned here. This song definitely leaves the listener with a thirst for more of Viva Brasil. After their first release the band continued to tour (probably the bands main objective) and to record. The line-up saw some minor changes as well (pictured below). As a matter of fact none of these recordings were released though. Only 20 years later 7Bridges Recordings would help to release these outstanding studio and live tracks from 1983 on the album "Lost & Found". Especially the live tracks demonstrate why Viva Brasil were such loved band. Altough the band had only one album under their wings they were in high demand at the beginning of the 80s. Several artists with a jazz background used them as support act and/or backing musicians. In 1982 Viva Brasil supported Japanese pop singer Yasuko Agawa who had been one of the favorite singers on the Japanese music scene at that time. Agawa also played Viva Brasil's song "Skindo-Le-Le" in her concerts - two links featuring four songs recorded October 19, 1982 can be found at the bottom of this site. Agawa's version of "Sindo-Le-Le" reached #7 on the Japanese jazz charts. Agawa recorded "Skindo-Le-Le" for the first time on her album "Soft Wings" in 1981 - only one year after it appeared on Viva Brasil's debut album. Being one of her favorite songs she recorded this song several times again later (inclucing some interesting remixes). Not only did Viva Brasil tour with Agawa. 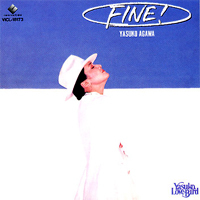 In 1982 they were also backing her album "Fine" (LP 1982: Invitation, VIH-28096; CD 1995/2001 Victor/JVC). The song "Skindo-Le-Le" is not included here but three other songs written by Claudio Amaral, i.e. "Searching" (co-written by Jay Wagner), "Smile On Your Face" and "You And I". Viva Brasil members on this album include: Claudio Amaral, Rubens Moura Jr., Kent Middleton, Eddy Soleta and Jay Wagner, i.e. all the guys that recorded Viva Brasil's debut album. 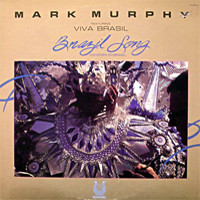 In 1983 the now famous and Grammy nominated jazz vocalist Mark Murphy worked with Viva Brasil which had seen the already mentioned line-up changes - consisting out of Claudio Amaral, Rubens Moura Jr., Chalo Eduardo, Michael Boe, Jay Wagner and Michael Spiro. Mark Murphy used them as backing band for his album Brazil Songs - Cancoes Do Brasil which so far has only been released on LP (Muse MR 5297). The album also includes the song "She" which was written by Claudio Amaral and which appeared on Viva Brasil's debut album. Although Viva Brasil had some impact at the beginning of the 80s they only released on more 7" on Sugarloaf in 1987 entitled "Hello Brasil". Around that time all of Viva Brasil's band members were not only playing their own concerts but also supporting jazz guitarist, singer and songwriter Joyce Cooling who was produced by Jay Wagner. Viva Brasil members included Claudio Amaral, Rubens Moura Jr., Kent Middleton and new group member Helio Garcia. 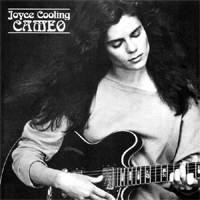 They also backed Joyce on her debut album "Cameo" in 1988 which received many great reviews. Due to his growing commitments as a producer Jay Wagner had been replaced several times when he couldn't make it to one of Viva Brasil's gigs - which is also reflected in his absense on the release "Lost & Found". Around 1986/87 Claudio found an outstanding keyboard player to replace Jay, i.e. Marcos Silva who had just come from New York and had previously played with Airto. Although Jay Wagner now no longer played with the band he didn't totally split from the band. Viva Brasil continuted to play live gigs and decided to record all those songs the fans liked best. 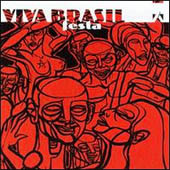 Viva Brasil's second album "Festa" was almost recorded live at the legendary Fantasy Studios in Berkeley but even though the album was recorded at the beginning of the 90s it only saw a worldwide release in 1999 when Michael Kirsch's label 7Bridges Recordings helped to make all of Viva Brasil's music available again. No matter how much people liked Viva Brasil's gigs - their recorded music was almost unavailable in record stores. The line-up on "Festa" includes only four musicians, i.e. Claudio Amaral, Rubens Moura Jr., Marcos Silva and Jeff Buenz who was also new to Viva Brasil. They are supported on a few tracks by Michael Spiro's percussion. The album delivers a more jazzy feeling this time, Brazilian jazz though - full of rhythm and very likeable. Marcos Silva's keyboard definitely stand out as a driving force behind the songs, supported by Ruben Moura Jr. and Jeff Buenz's solid rhythm foundation. The album is full of little masterpieces and shouldn't be missing in any music collection. 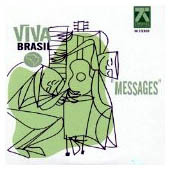 With the continued support of Viva Brasil's new label 7Bridges Recordings the next album "Messages" was recorded and released only one year later in 2000. Because Rubens Moura Jr. left the band as he moved to Texas, two new drummer can be found on the album, i.e. Celso Alberti and Andrew Buffington. Both can be found on the pictures on the right side - including saxophonist Harvey Wainapel. The album "Messages" presents a more refined and sophisticated Viva Brasil, i.e. the arrangements are more mature now, the lyrics and melodies are more conscious. Compared to the first album that lives through the band member's youth and energy, the album "Messages" presents first-class musicians. A superb, flawless and very selective album with good instrumentation, enjoyable arrangements and the perfect dose of Brazilian rhythms. 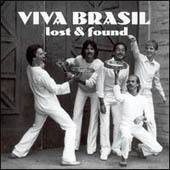 Viva Brasil's fourth album - the already mentioned "Lost & Found" was released in 2003. It features previously unreleased studio recordings and live tracks from 1983. 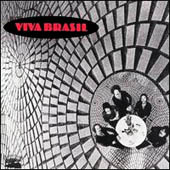 Meant to be the follow up release to the self titled debut album "Viva Brasil", the album was never completed, but the spirit of the band's heyday is very apparent on these recordings. The CD also includes a live concert from the same year. Especially the live tracks "Skindo-Le-Le" and "Batucada" which also saw a limited release as a 12" record (PLP6188), rock the floor. "Bactuada", which is over 12 minutes long, delivers the Rio Carnival directly into your home. It is a sad thing that these recordings weren't released in 1983 - Viva Brasil might have become stars. All of Viva Brasil's albums are highly recommended - just follow the links underneath and close a gap in your collection of influential Bay Area bands. In additon you should also try to catch the band live as they still seem to gig around the Bay Area. More information about Viva Brasil's current status once available. The first five tracks were recorded at Golden State Recorders, San Francisco and the last four tracks were recorded live at the Kabuki Theatre, San Francisco in 1983.